How many times have we all heard someone say something like, “You better get it in writing,” or, “Give it to me in writing”? In colloquial speech, we often use such phrases as joking responses to statements or promises made by friends or family members. The truth is, when it comes to the world of contracts, it’s actually very good advice. We’re not sure where the phrase originated, but we wouldn’t be surprised if it were uttered when the first lawyer in history met with his first client, who asked about the enforceability of oral contracts. While the law recognizes both oral and written contracts in many situations, it’s always safer to seal the deal in writing. But there are some agreements that must be in writing to be enforceable. 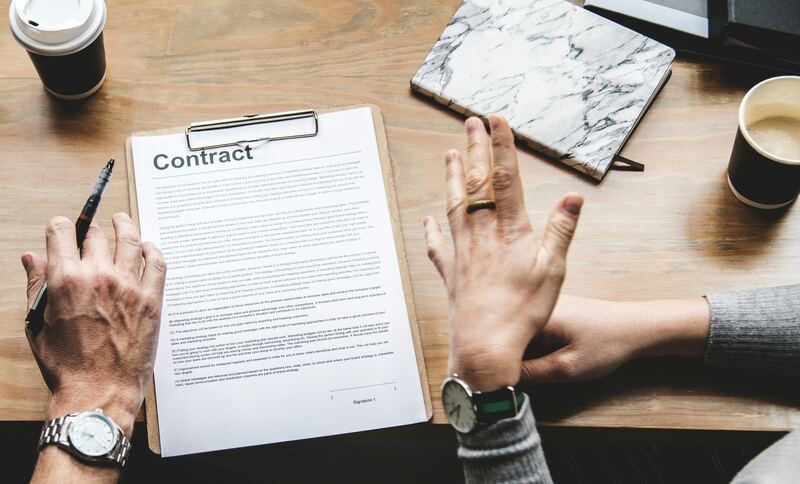 In those circumstances, an oral contract won’t do the trick – and falsely claiming the existence of a contract in the absence of a written one can even be considered fraud in contract law. This is the issue addressed by the Statute of Frauds. On June 20, 1677, King Charles II of England, along with Parliament, passed the original Statute of Frauds, formally called “an Act for prevention of Frauds and Perjuryes.” While a lot of the spelling in the document is a little odd by today’s standards, the general concepts have prevailed. The Act required various types of contracts to be in writing, and the legislation itself explained why. The authors explained that the Act was intended to prevent the common fraudulent practices of perjury and subornation of perjury. In other words, the statute was an early attempt to combat fraud in contract law. According to historical accounts on the topic, litigants in England had commonly begun to falsely allege that they had entered into oral contracts. The common law courts began to fill up with cases, which essentially became swearing contests in the absence of written agreements. A cottage industry of “professional” witnesses even developed, who could be hired to testify on behalf of a party and in support of or against the alleged oral contract. (While today’s litigators might smile wryly at the previous sentence, we will avoid any temptation to seek a cheap laugh at the expense of modern day expert witnesses). Thus was born the Statute of Frauds. The underlying concepts of the English Statute of Frauds came to America with English common law. Over time, states have adopted their own versions, and they are by no means identical. Therefore, always check the specific laws of your own state to determine what kinds of contracts are covered in your particular jurisdiction. However, there are certain types of contracts which commonly fall under a state’s Statute of Frauds. We’ll discuss some common categories below. Contracts for the sale of land – this one seems simple enough and is directly related to the problems we mentioned in England. But there can be traps for the unwary. For example, states may require a certain level of specificity in the written contract, similar to a deed. Similarly, contracts that deal with land peripherally, such as certain types of leases and options to purchase land, may also be required to be in writing. Agreements not to be performed within one year – some examples under this heading are easier to determine than others. For example, a three-year lease on a building or a two-year employment agreement clearly cannot be performed within a year and must be in writing. But what about an agreement that might take more than one year, but might not? Such agreements fall outside the Statute of Frauds. In other words, if it is possible to complete the contract within one year, it falls outside the Statute – even if it ends up taking more than a year – and need not be in writing. Promises in consideration of marriage – this generally does not refer to the mere promise to marry, but involves related agreements, such as prenuptial agreements, an agreement to adopt a party’s child, agreements related to an engagement ring, and similar promises. Suretyship – this is the promise to be responsible for the debt of another. Executors – fiduciary promises by executors often fall within the Statute of Frauds. As we mentioned, other examples exist, such as loan commitments, on a state by state basis. Additionally, in some circumstances an exception may remove the agreement from the Statute. At ContractSafe, we know you’ll “get it in writing,” whether the Statute of Frauds applies or not. And that means that you have lots of contracts to manage. Luckily, our state-of-the-art solutions are here to help. Start your free trial today.